Make a difference in the lives of young children as a member of the Early Childhood Development Program. Whether you’re eager to join an early childhood center as an educator or interested in beginning a four-year early childhood education journey at OTC, the OTC Early Childhood Development Department and its Early Childhood Education Center provide rich, hands-on opportunities for OTC students to learn how to apply their knowledge and skills. Help little learners fall in love with learning as a member of the Early Childhood Development program at OTC. Featuring immersive learning environments in an on-site lab school, members of the two-year program will be prepared to manage their own in-home child care facility. Alternatively the may become a director of an early childhood center, be a teacher in an early childhood classroom, be an assistant in the public school classroom or continue their education in a four-year program. One of the fastest growing industries in the nation is the child care field. Children’s participation rates in early childhood programs continue to increase, but national shortages in quality care givers creates a unique opportunity for educators. Help meet the need and serve the needs of families in your community by completing this hands-on, two-year program. This program features multiple opportunities to observe and learn within the OTC Early Childhood Education Center. Classes include Relationships in Early Childhood, Creativity and the Young Child, Classroom Management: Guidance, hands-on practicums and more. Upon completion, students receive an Associate of Applied Science in Early Childhood Development. The short-term certificate of Early Childhood Development is designed to prepare individuals for support roles in the early childhood field. Consequently, individuals completing this track will gain skills for an entry-level job and an overall general understanding of child development, while quickly gaining employable skills to quickly secure a job in an industry looking for qualified workers. 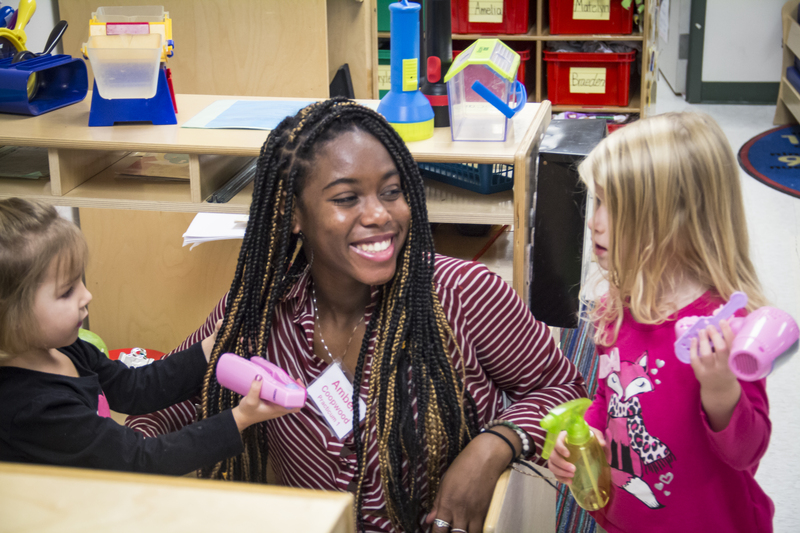 Within this program, students will participate in practicum experiences, working within an early childhood setting to put theory into practice. Classes include Curriculum Development in Early Childhood Development, Health, Safety & Nutrition and Language and Literature in Early Childhood. Upon completion, students receive an Early Childhood Development Certificate. The mission of the Early Childhood Development program at Ozarks Technical Community College to equip and empower students to become career ready early childhood professionals with the knowledge and understanding of young children’s characteristic and needs by modeling application of developmentally appropriate and differentiated learning approaches using standards, theory and current research.